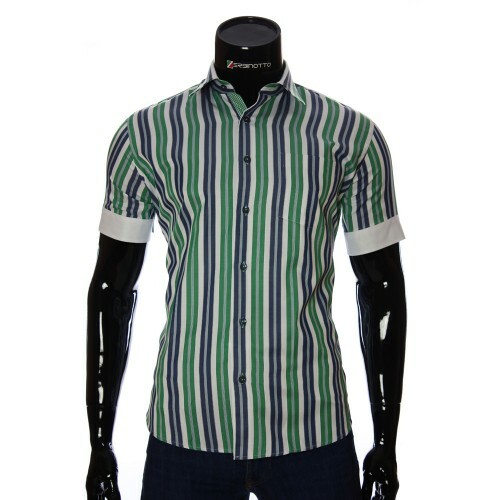 Men's shirt 921-4 with short sleeves. Shop Smart Shirts for Men. 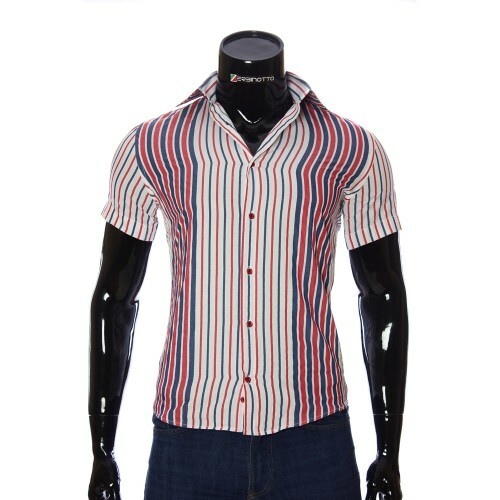 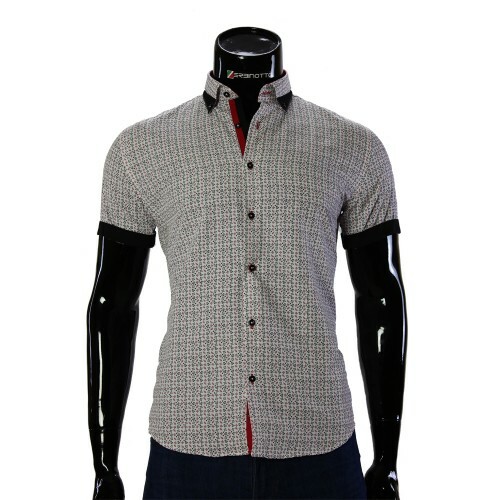 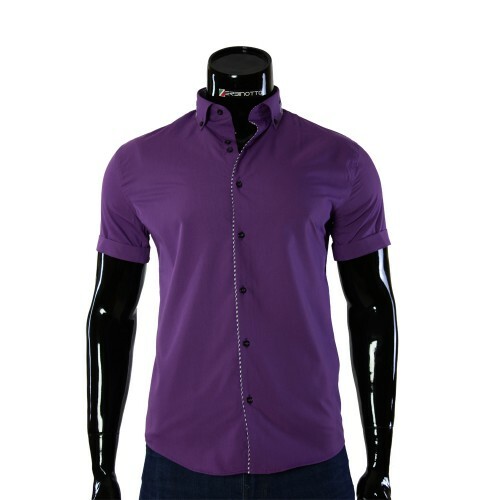 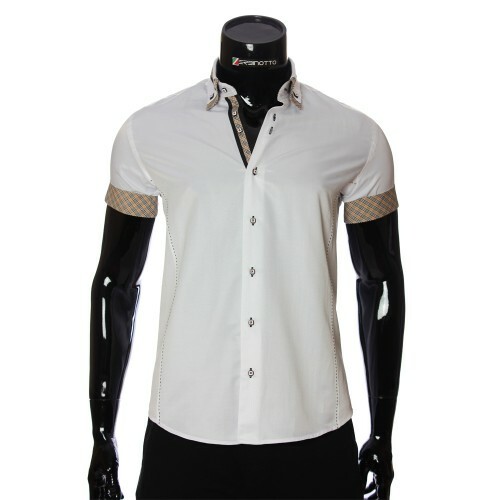 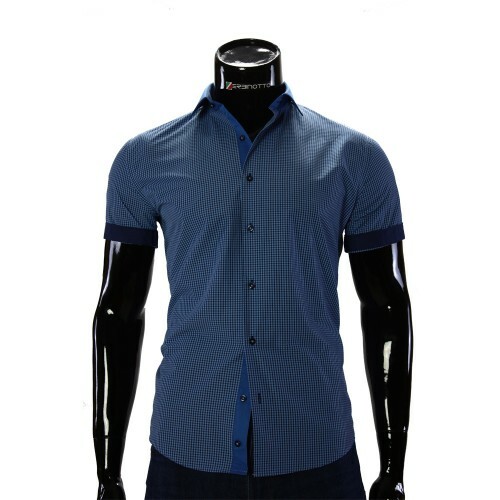 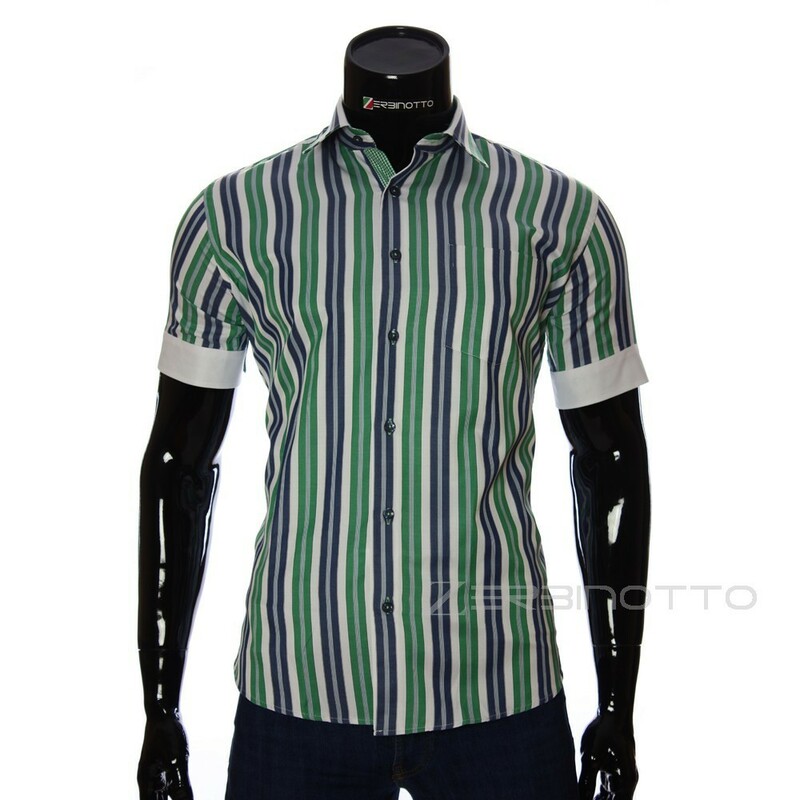 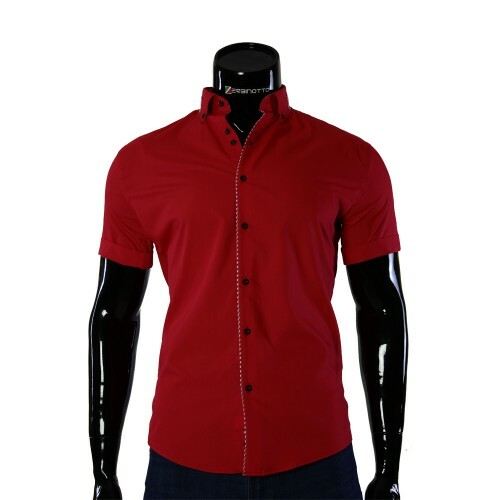 Stylish men's shirt with a short sleeve in a contrasting strip. 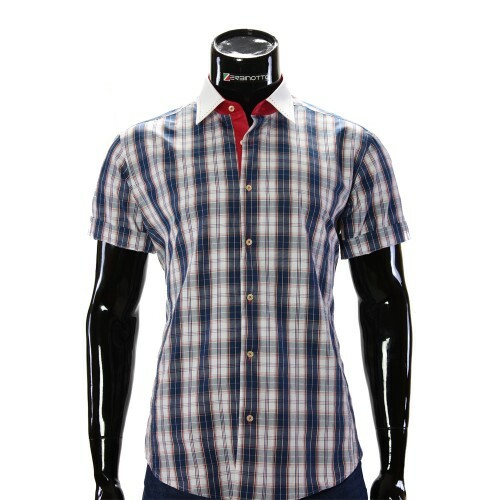 Fabric cotton poplin. 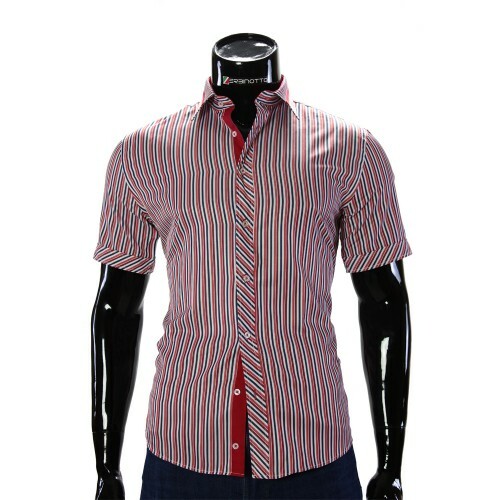 The sleeves of the shirt are made in two colors patterns with the possibility of shortening the sleeve itself. The shirt is worn individually. 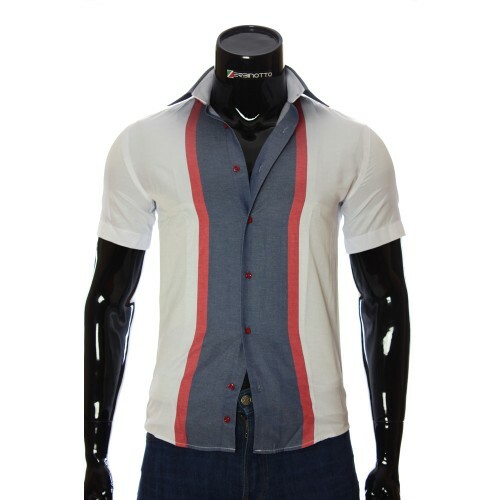 This model of men's shirt is perfectly combined with business pants and jeans. Suitable for everyday wear.